Looking for ideas? 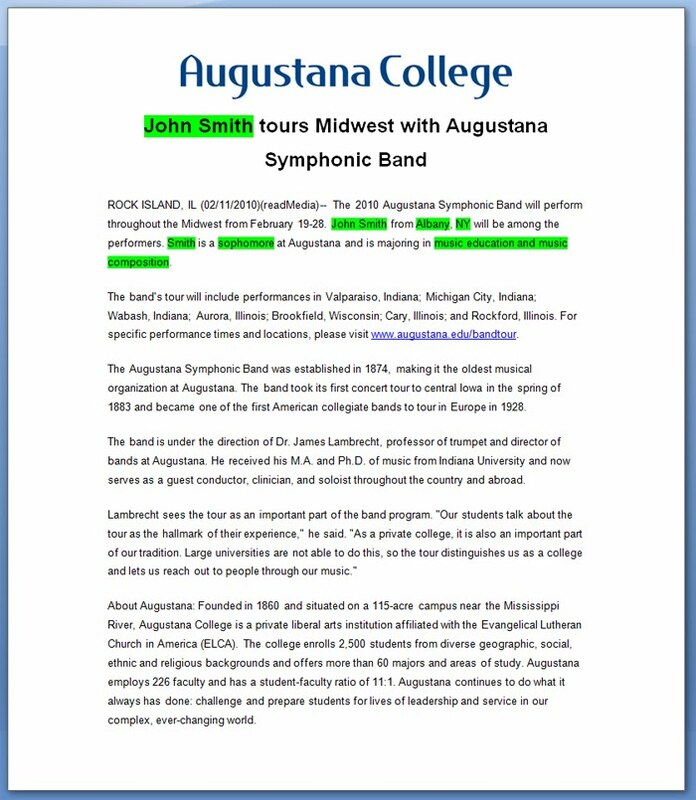 Here's a press release about a student going on tour with the Augustana Band. Text from their spreadsheet is highlighted in green. A sample Word document and spreadsheet are attached. NOTE: Check out this related hometowner announcing the concert series.